Rail signal wiring and equipment system testing is a discipline requiring knowledge of signalling equipment, relevant industry standards and a high level of testing skill. Testing is carried out to validate installation work. The testing must be carried out with absolute accuracy by competent personnel who have appropriate accreditation. All testing staff are held accountable for their part in a project. The HRD Rail Signal System Testing course trains testers in how to apply the Victorian Rail Industry Operators Group (VRIOG) Standards for ‘Testing and commissioning of safety–related railway signalling systems’. the tester who must comply with VRIOG testing and commissioning standards. Training can also be customised to interstate jurisdictional requirements. Testing training is essential for staff seeking tester skills and recognition of testing knowledge against the VRIOG Standards. There’s currently no national qualification for rail signal system testing; however, HRD training aligns to VRIOG standards and to the unit of competency UEENEEN128A Test and commission rail power equipment. Tester training and assessment is conducted over three days: two days of theory and practical training and one day for assessment. HRD Rail Signal System Testing training is specific to rail signalling. If you’re considering undertaking the testing course you must have exposure to rail signalling installation standards, set to work, and mechanical and electronic trackside equipment operation to be able to take full advantage of the training. theory and hands-on practical training to test cables, equipment and signal control circuits. On completion of training, participants will be able to test multicore signal cables, wayside equipment and location wiring circuits. Note: although HRD Rail Signal System Testing training aligns to and meets a national unit of competency, there’s no guarantee that the unit of competency will by itself be acceptable to some organisations, authorities or regulators. Local standards vary, even within mandatory jurisdictional standards. Check locally/with your employer and with HRD before committing yourself to the course. 2 x Signal control circuit testing (location cases). On successful demonstration of competence, the participant will be awarded a Statement of Attainment for the unit of competency UEENEEN128A Test and commission rail power equipment. 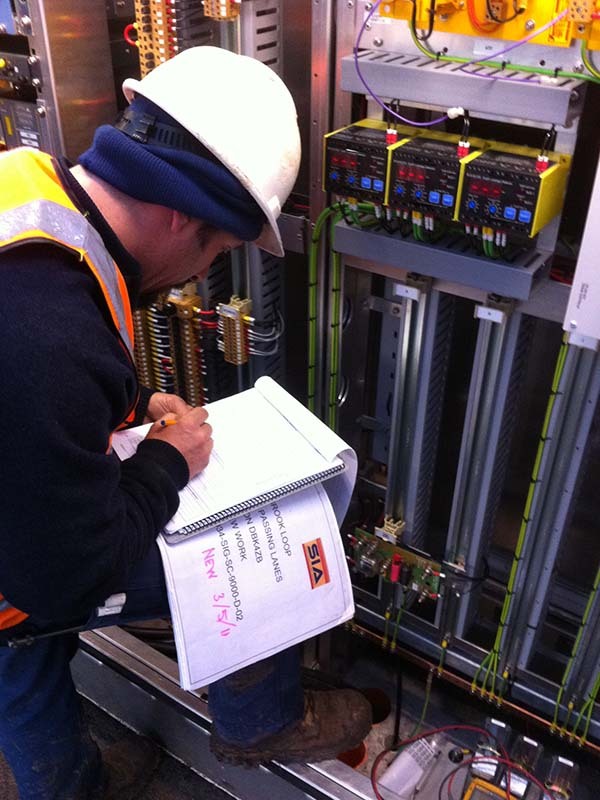 Rail Signal System Testing training courses are held on a needs basis, therefore dates vary depending on demand. Training is conducted at Newport, at an interstate venue and on site. Enquire today about the next date and venue.